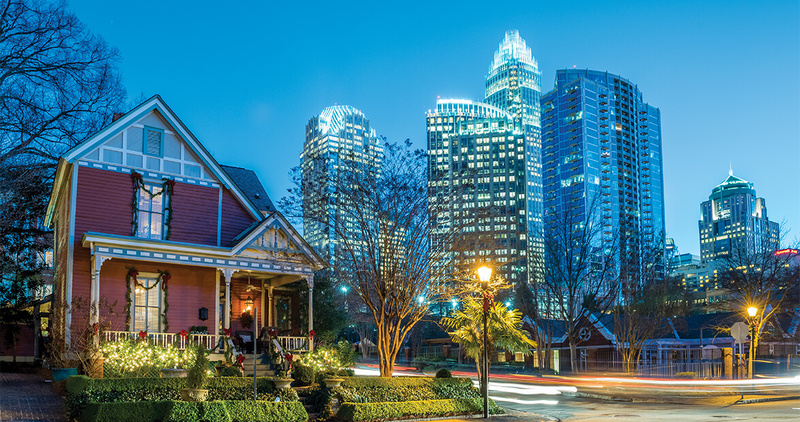 “It’s Christmas time in the city” goes the classic holiday song “Silver Bells.” Where better to portray the brilliance of an urban Christmas, with its “strings of street lights, even stop lights,” than Charlotte? 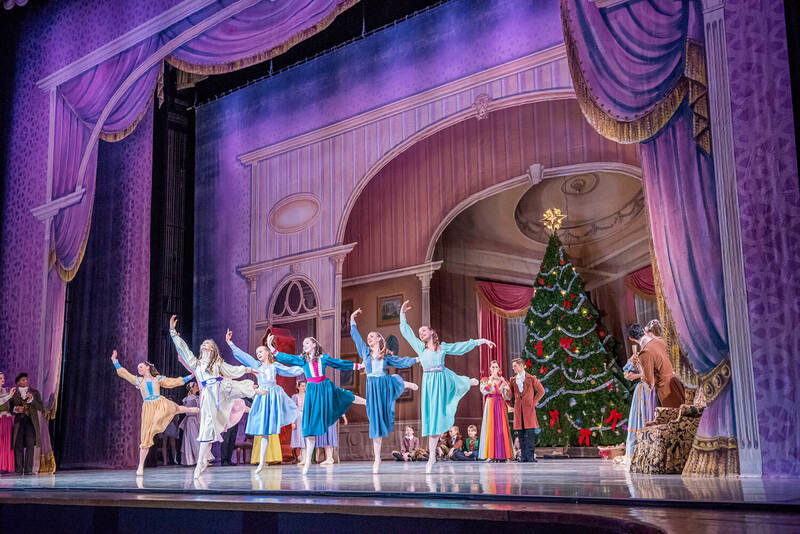 Christmas would be incomplete without Charlotte Ballet’s Nutcracker, staged at Belk Theater in the Blumenthal Performing Arts Center. 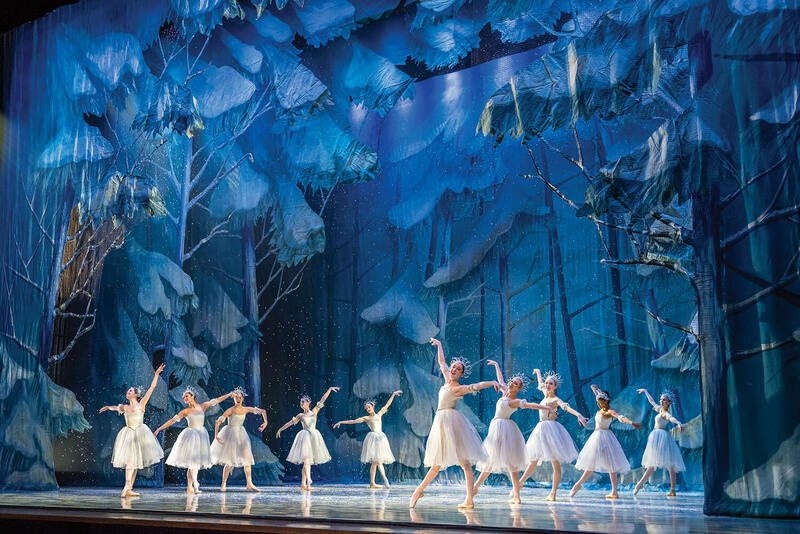 Patricia McBride, Charlotte Ballet’s associate artistic director, was awarded a Kennedy Center Honor in 2014. 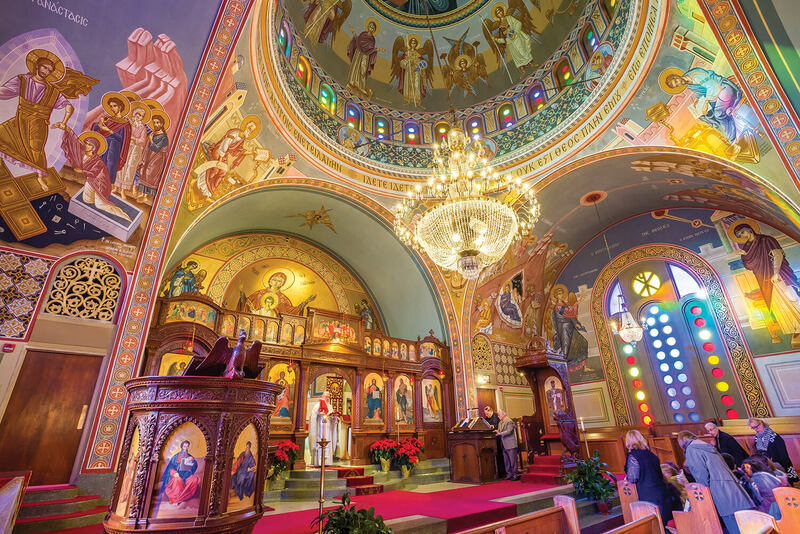 Charlotte’s vibrant Greek community gathers at Holy Trinity Greek Orthodox Cathedral on East Boulevard. In the weeks leading up to Christmas, the church conducts a service every morning. Here, the Rev. Fr. Michael Varvarelis presides. Diamonds for a queen, wings for an angel, and who spies a Santa hat in the Singing Christmas Tree? 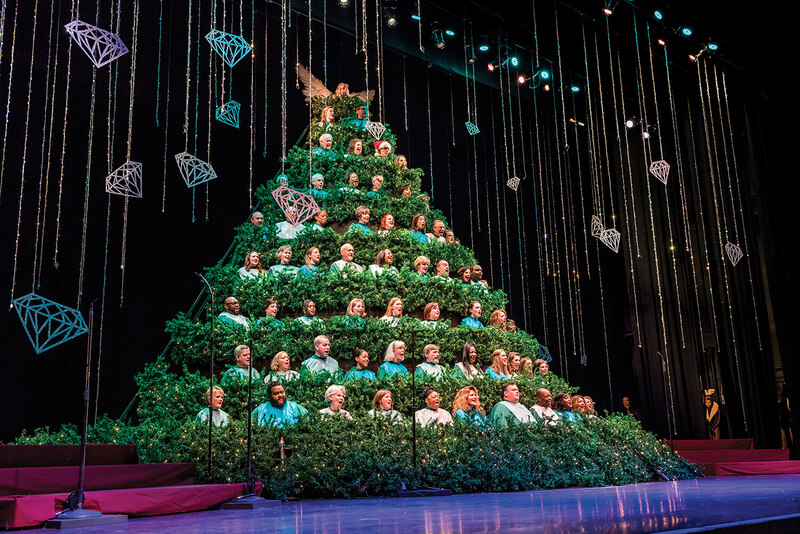 For more than 60 years of Christmases, the Carolina Voices have performed this production that combines singing, dancing, and comedy skits. 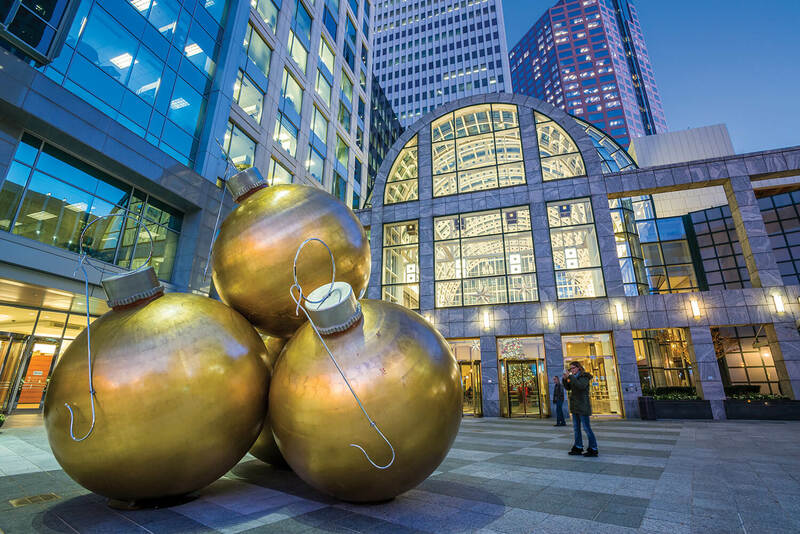 Decorations hit the literal big time outside the plaza of Two Wells Fargo Center in Uptown. Stop by for a selfie; everyone looks good with gold. Take it outdoors — on more than 7,000 square feet of ice. 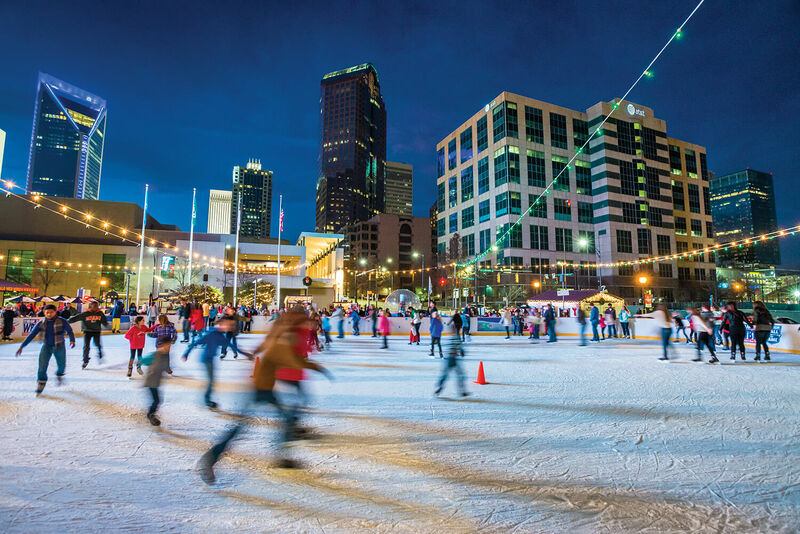 Charlotte’s only outdoor ice-skating rink is open November to January at the NASCAR Hall of Fame Plaza. Show off your best Scott Hamilton figure eight. Swoosh. 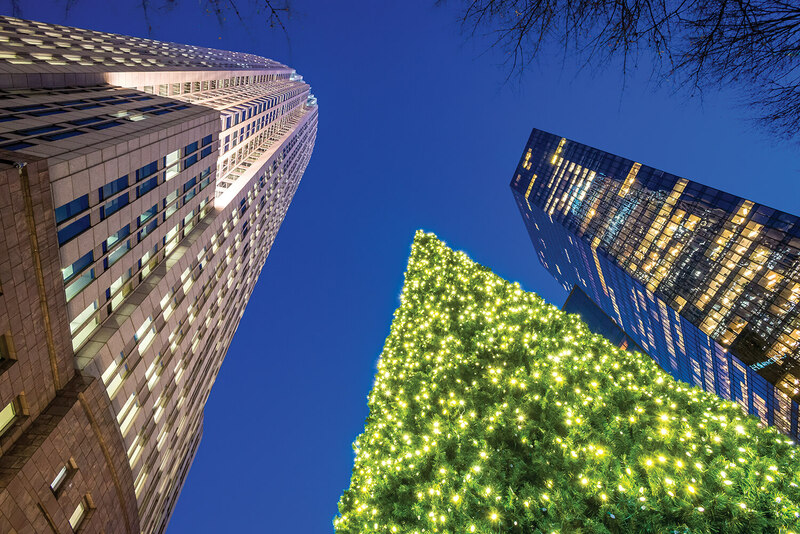 At the intersection of Trade and Tryon streets, a festive tree reaches for the heavens along with neighboring skyscrapers. Dwarfed in height, but not in beauty, its soft glow illuminates a city’s silent night. 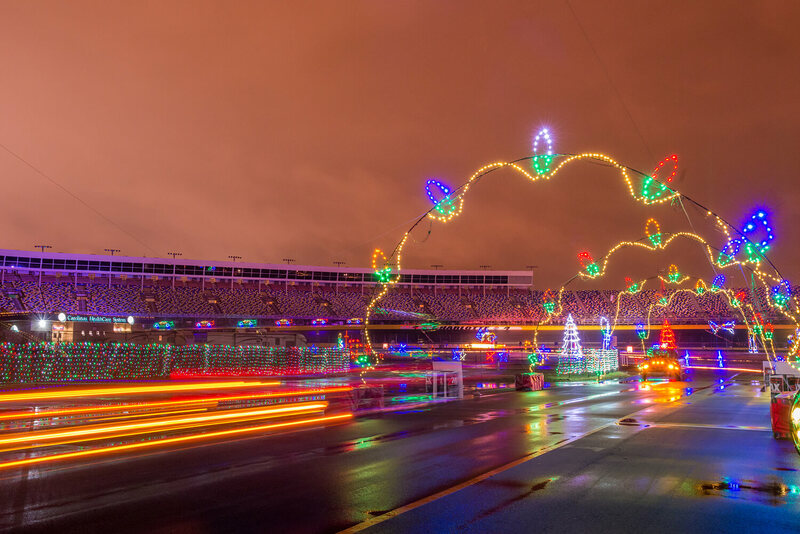 You’ll want to take a lap around the Charlotte Motor Speedway at a more leisurely pace than your favorite NASCAR drivers. 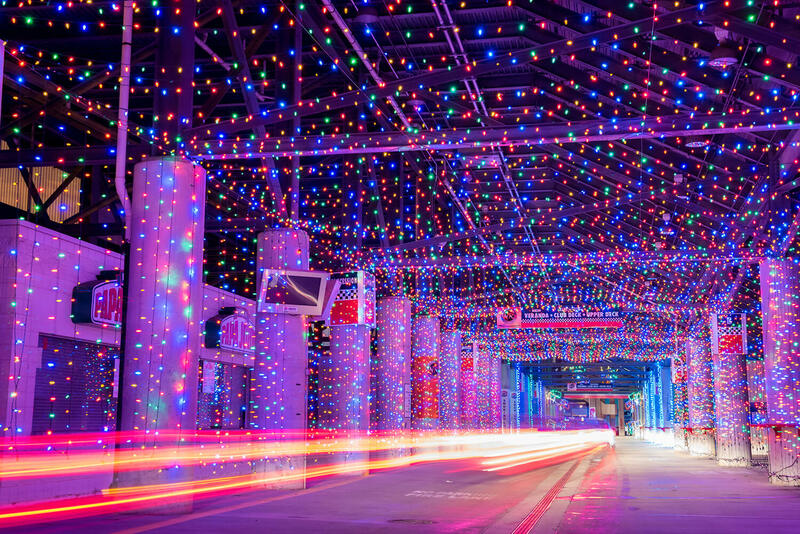 Revelers can take in more than 3 million lights that line the track from the comfort of their own cars. 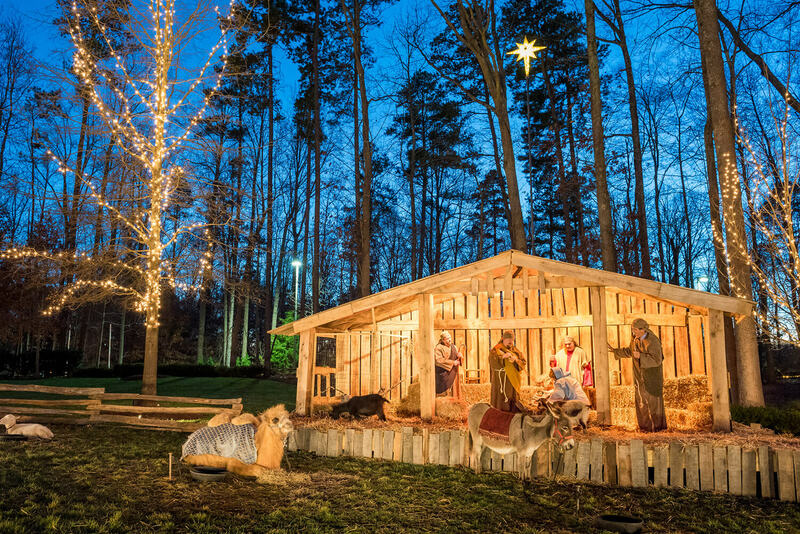 The Billy Graham Library plays host each evening to Christmas carolers, horse-drawn carriage rides, holiday stories, and a live nativity featuring donkeys, lambs, and a camel. Theatre Charlotte is the oldest continually producing community theatre in North Carolina. 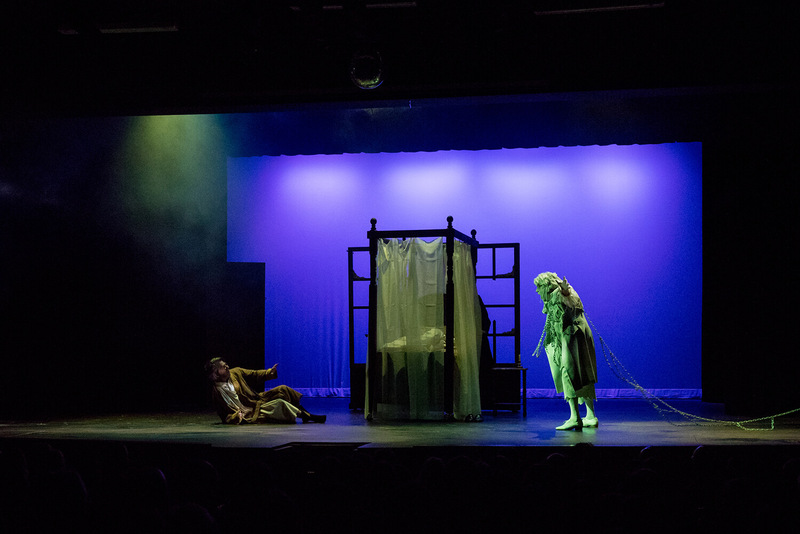 Its annual production of A Christmas Carol is a community favorite.